Posted on Wed August 6, 2014. 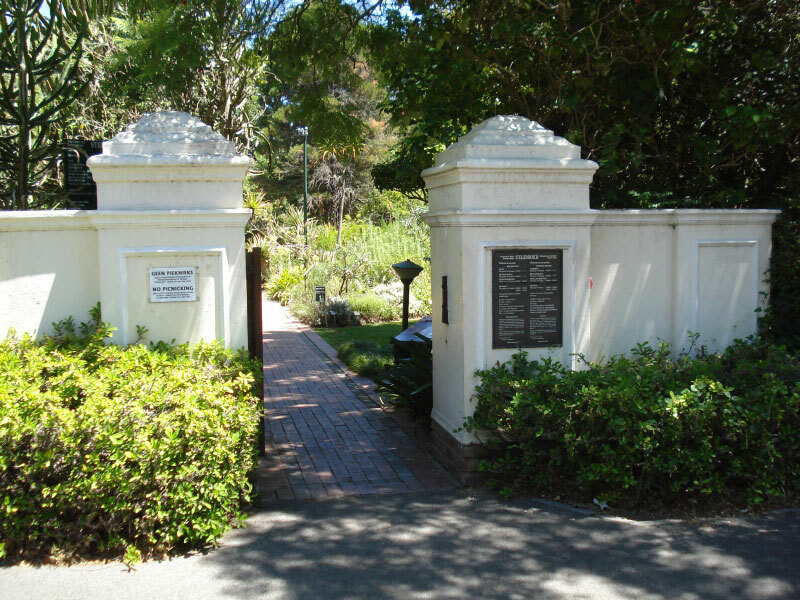 One of many lush, tranquil oases in Stellenbosch, the Stellenbosch University Botanical Garden is found just a few metres from Bonne Esperance. Like many of the landmarks and establishments of the town, it has a long legacy and history. The oldest university garden in the country, the Stellenbosch University Botanical Garden is small yet highly diverse, with many plant species—both indigenous and non-indigenous. The garden was first established in 1902 when university lecturer, Augusta Vera Duthie, started to grow plants next to the main campus building for research and student practical lessons. The garden as it is situated today dates back to 1922 when the Professor of Botany, GC Nel convinced the university to set aside land for the formation of a proper botanical garden. The botanical garden is public, thus it’s used by both the university and community. The students still use the garden for practical lessons and studies while the town’s residents and, of course, visitors are able to relax and view the vegetation at their leisure. For an afternoon perusing the well-maintained beautiful gardens, stop at the tropical, succulent and Karoo glasshouses, the herb garden, the Japanese garden and the arboretum. You will be astounded at the diversity of plants you will encounter –from puya plants with origins in Chile to Mexican cacti and Welwitschia from the Namib Desert. When visiting, don’t forget to stop at the BioBou Shop, which is the visitor centre and gift shop; it sells various books, seeds and local plant items. Along with the centre is a small nursery and the Katjiepiering café where you can enjoy a cup of coffee and slice of succulent cake to give your afternoon the perfect encore. After your walk in the garden, there are many coffee shops in Stellenbosch to go for lunch and a cappuccino or you could stop by at one of the beautiful markets.